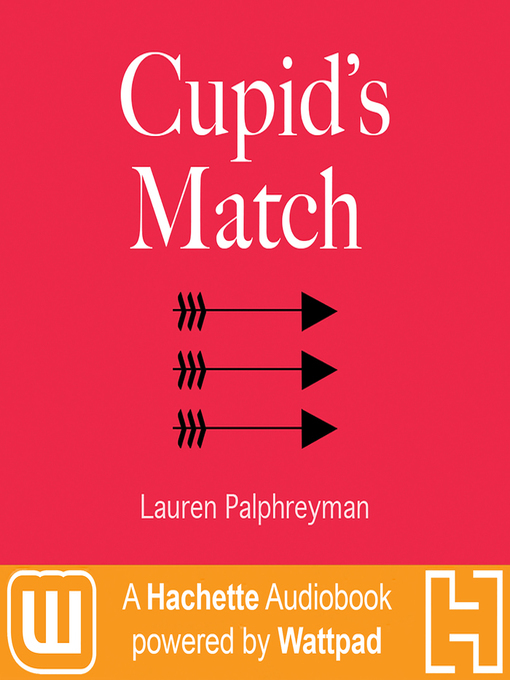 Cupid's Match is a new release from Hachette Audiobooks: Powered by Wattpad—an innovative collaboration between Hachette Book Group, a leading publisher, and Wattpad, a passionate storytelling community of over 45 million people. Your favorite online stories, now available in your headphones! When seventeen-year-old Lila Black goes to the LA based Cupid's Matchmaking Service it is to tell them to stop spamming her. Instead she finds out that cupids are real, she has been identified as the 'match' of the banished, dangerous (and irresistibly attractive) Cupid himself, and that due to an administrative error he will be arriving at her high school tomorrow. The organization assigns one of their Matchmaking Agents, Cal, to hide her from him, but despite his efforts she finds herself increasingly drawn to her match. And though Cupid may be reckless and arrogant, he doesn't seem nearly as dangerous as people have been telling her. She soon discovers that the Matchmaking Service will go to deadly lengths to make sure the match doesn't take place, that Cupid may have a secret agenda, and that she must fight her growing feelings for him; because if the two get together, Lila may not survive the consequences. When the inevitable happens Lila finds herself caught alongside Cupid and Cal, in a fight for her life, on one side of an Ancient battle over Love itself.